Bhubaneswar: Social Problems can be solved through business and moreover, businesses have a responsibility to solve social problems. 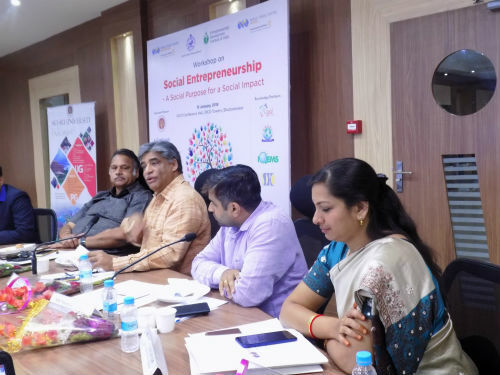 World Trade Centre (WTC) Bhubaneswar organized a half-day workshop on Social Entrepreneurship to train young minds of Odisha in creating socially minded business leaders. Ms. Nimeshika Natarajan, Manager of WTC Bhubaneswar welcomed the guests and introduced the theme of the workshop. She highlighted the urgency for such training and why the need is to have collaborative approaches to learning about the experience of social entrepreneurs. Renowned social activist Shri Jagadananda spoke about several social entrepreneurs who took up the courage and risk to start something that has made a great social contribution and at the same time added value to the local and national economy. He offered support to new social entrepreneurs and promised to guide and mentor them. He asserted that social entrepreneurship has the capacity to solve the social and economic problems of our society. Shri. A.K. Sharda, Managing Director, Grow Green Consortium Pvt. Ltd (GGCPL) shared how tribal communities have started planting trees and how they have started earning a livelihood from this. Shri. Subrata Panigrahi, Director, Institute of Quality, Environment Management Studies (IQMES) highlighted how financial equality is the goal of social entrepreneurship. He identified two major aspects of social entrepreneurship. The first one is to develop a sense of social responsibility and to join hands with right people for right causes. 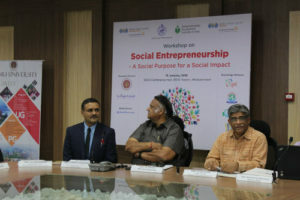 Shri Narasingha Panigrahi, Director, Siddha Development Research and Consultancy (SDRC), argued that social entrepreneurs take in to account people, planet, and profit, in that order. He made a presentation to demonstrate that waste management provides a great opportunity to social entrepreneurs. He advocated that anyone who wants to become part of the solution is by default starts the journey of social entrepreneurship. Shri C.R. Pattanayak, Coordinator, Eastern Region, Entrepreneurship Development Institute of India (EDI) spoke about the huge opportunity for entrepreneurs to scale their product and service to meet the social challenges and also solve social problems. Prof Kaushal Borisagar of Sri Sri University presented about the university’s focus on entrepreneurship and how Srinovation, the Entrepreneurship Development (ED) Cell has pioneered campus startups and has created more than a dozen successful student-led startups. He shared his startup story in producing organic tea and juice. Prof Kamala Kanta Dash who represented both Odisha Diary and Kalinga Kusum Foundation spoke about the emerging eco-system of social entrepreneurship and how in collaboration with Kalinga Kusum he has been able to develop a syllabus for a social entrepreneurship course at NLUO. He introduced Kalinga Kusum Foundation and its work in areas of skills development, legal awareness, child-friendly constituency, legislative engagement and social entrepreneurship. He spoke about the social impact and innovation lab that KKF has developed to incubate social entrepreneurship ideas. The Open house session was chaired by Shri Jagadananda. Questions related to definitions and concept of social entrepreneurship and how it is different from entrepreneurship were asked. Students and budding entrepreneurs asked questions regarding organic farming and farmer suicides. Asha Sarangi, the Assistant Manager at WTC Bhubaneswar, offered the vote of thanks. She expressed happiness with huge participation and suggested students create a network for developing, nurturing and nourish social entrepreneurship ideas. The workshop was organized in partnership with Odisha State Planning Board, Entrepreneurship Development Institute (EDI), Sri Sri University and Kalinga Kusum Foundation (KKF). Centre for Youth & Social Development (CYSD), Institute of Quality, Environment Management Studies (IQMES), Siddha Development Research and Consultancy (SDRC) and Grow Green Consortium Pvt. Ltd (GGCPL) were knowledge partners. Students from Bhubaneswar and Cuttack based educational institutes joined to learn the basics of social entrepreneurship. 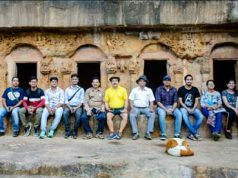 Students of National Law University Odisha (NLUO), Utkal University, Sri Sri University, College for IT and Management Education (CIME), Biju Patnaik Institute of Technology and Management (BITM) and Siksha O Anusandhan (SOA) University attended the training workshop.